National Letter of Intent Day was an exciting time throughout the County. 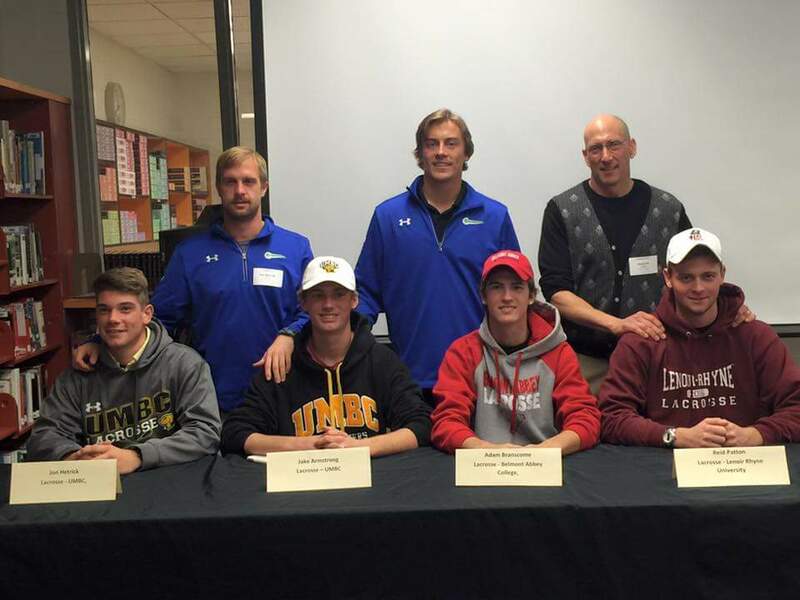 Many student-athletes signed with some of the top programs in the country. 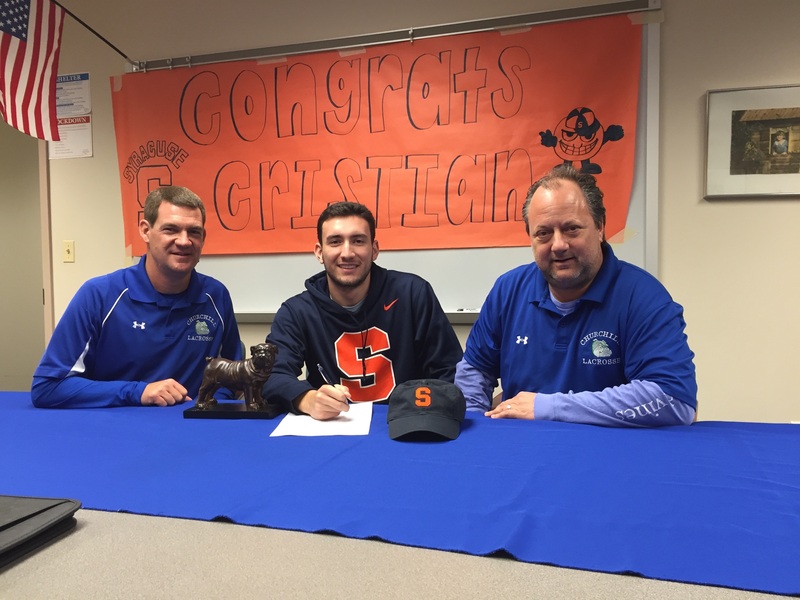 Churchill student-athletes were busy as Cristian Edwards (2016 Defense) signed to play at tradition-rich Syracuse and classmate, Austin Laborwit (2016 Face-off Midfield), signed with Trinity College (D3). Spencer Knife (2017 Attack) signed to play at Towson and Jimmy Rubino (2018 Defense/LSM) signed with Penn State. Jack Taylor (2018 Defense) and Reed Moshyedi (2018 Attack/Midfield) will continue being teammates after signing with Brown. Jake Armstrong (2016, Attack) & Jonathan Hetrick (2016, Midfield) will be continuing their career at UMBC (DI). Adam Branscome (2016, Attack/Midfield) will be attending and playing lacrosse at Belmont Abbey College (DII). And Reid Patton (2016, Midfield) will take his talents to Lenoir-Rhyne University (DII)! All four boys attended Poolesville High School and will graduate with a 3.0 GPA or higher. Jake Armstrong (2016, Attack) & Jonathan Hetrick (2016, Midfield) will be continuing their career at UMBC. Adam Branscome (2016, Attack/Midfield) signs with Belmont Abbey College, Reid Patton (2016, Midfield) signs with Lenoir-Rhyne University. 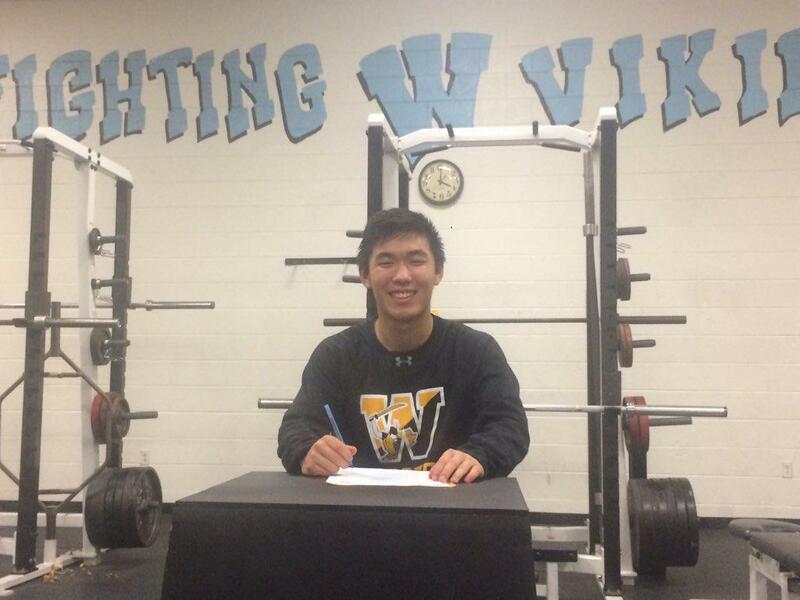 Whitman's Danny Fraser (2016, Defense/LSM) signed with Wooster College.